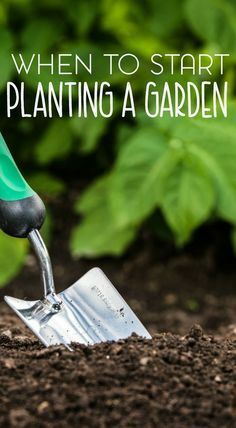 When to Start Planting a Garden at Home . . . .
Having a good plan before planting is a wise move. The last thing a gardener wants to see is their efforts and time go to waste. It is always a good idea to figure out the location of your garden ahead of time so you have a sufficient amount of space. Is the available space desirable to achieve the number of plants you aim to plant? You may create a simple sketch of your space. You may also determine the movement of the sun in order to have an idea what time of the day your spaces are exposed to sunlight. Because some plants need sunlight more and some need less, you can decide where to plant them. Checking your soil is also an important step before planting. Is your soil conducive for the kind of plant you plan to grow? Most soil is rich with compost, which can be great for planting. On the other hand, there is soil that needs extra attention. If you are using the same soil for some time now, perhaps you need to replace it. As the soil is constantly planted and used, the nutrients present gradually deplete. Experts will always say that even if you did everything to ensure for a good harvest, if you overlooked your soil, you are more likely to fail.